Python is an interpreted, interactive, object-oriented programming language, often compared to Tcl, Perl and Java. It runs on Windows, UNIX, Linux, DOS, OS/2, Mac and other platforms. Python is extensible and new built-in modules are easily written in compiled languages like C or C++. 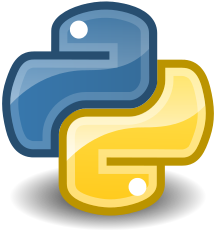 Python is also usable as an extension language for applications that need a programmable interface. Python provides a very clear syntax and many powerful features common in modern languages e.g. modules, classes, exceptions, very high level dynamic data types, and dynamic typing. There are interfaces to many system calls and libraries, as well as to all the major windowing systems.